Send high priority SMS alerts to your mobile app users with text notifications. All mobile app owners can now send system alerts by integrating their applications with an SMS API. Integrating your devices, applications or CRM will support both automated and manual customized text notifications or alerts. The practice of integrating devices or applications can streamline cross-platform interaction for all sized businesses. Most of the leading industries have configured their applications beforehand, especially for sending OTPs, appointment reminders, system alerts and banking/financial service notifications. On that account, mobile app owners can also maximize text messaging for promotional activities, sending new offers, upgrade notifications and sign up verification. Currently, most app owners are capitalizing on text message notifications, simply by integrating their apps with the mobile application SMS API. TheTexting’s SMS API allows applications to send & receive text notifications in high volume. Significantly, mobile application owners can also increase the security level of their applications through text message notifications/alerts. Let’s walk through to some features that mobile app owners can exploit into their favor. Mobile application owners have serious concerns over unauthorized access and account hacking. Time to keep all speculations away by integrating your applications with a text notification API, which will add an extra layer of security to your apps. Secure data travelling is the demand of all marketers in the age where cybercrime has threatened to distort information. As a result, we have an antidote to all ill practices such as hacking, spamming, malware attacks and so on. Text notifications or in simple words SMS system alerts have been the first choice of all mobile app owners. System generated alerts mitigate the communication barrier between mobile app owners and their users. It is highly recommended for all mobile app owners to intensify their security measures for secure communication and nothing serves them better than having mobile application SMS API for security enhancement. 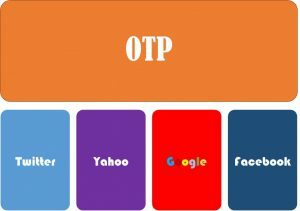 Renowned applications like Facebook, Whatsapp, Gmail, and others, all verify their users by OTPs sent through an SMS API. This preventive measure has become a golden rule for all app owners, especially the ones involved in order bookings, personalized messaging or any other transactional activities. With an SMS API, mobile application owners can send one-time passwords to their users to ensure that only verified and authentic users are getting access. Fake accounts are also an area of concern for most mobile app owners. Cut short the risk of fake sign ups by setting up an OTP, use an SMS API to send OTP messages & restrict any possible misuse of information, theft, hack, or harassment. For seamless performance, use text notifications with minimal effort by an SMS API. Mobile app owners know how productive text alerts are for them. It is assumable that most application owners have already integrated their apps with the text notification API. After all, this is what they have been looking for. Now, they are relishing the freedom of sending alert messages, promotional texts, upgrade reminders and most importantly, payment confirmations. Today, application owners are also in the industry’s best practice through using the mainstream channel of text message marketing. So, there seems to be no inconvenience for mobile app owners that might confine them from using text message notifications. You can also refuel your communication with an SMS API integration. Get blazing throughput for instant alert messages, integrate your applications or software with a mobile application SMS API and send up to 100+ text notifications per second. Nothing can be more essential than authentic data sharing. To ensure that an authentic user is using your platform (application), you need to verify his/her credential first. 2FA two factor authentication also known as multi-factor authentication can be used for transparent exchange of information. Mobile app owners can take great advantage of 2FA because it will confirm that only verified users are having access to their application. Hence, this will prevent unauthorized access on part of the mobile app owners. Moving further, two factor authentication is widely adopted by application owners due to the fact they don’t solely rely on the length of a password. For this reason, whenever users try to login, mobile app owners will send two factor authentication code to verify whether a user is a verified one or not. The implementation of two factor authentication will decrease the chances of account hacking. A hacker would need to steal your password and also break the code that has been sent to you via SMS. 2FA codes will fade away within 30-60 seconds, making it extremely difficult for hackers to get access to any account. Without any further ado, all mobile app owners should utilize two factor authentication to reduce fraud risk and most probably, make communication harmless. Mobile app owners can extract added value advantage from the channel of text messaging. Simply an integration between an app and an SMS API will turn into a bonus. And guess what, a text notification API can also allow app owners to schedule their text messaging campaigns. Through scheduling, app owners can segment their target list and text notifications will be sent according to the set timings. Text reminders, alert services, version updates, all can be sent to your app users. TheTexting’s mobile application SMS API has been worthwhile for all application owners since it produces a quantifiable impact for them. As a mobile application owner, you should know the value of user experience. For that you need to be in the shoes of your users. Today, there is barely any industry that is not utilizing the potent arsenal of text alerts. Mobile application owners can set SMS alert services programmatically for Banking notifications, Flight bookings, Shipping status, Appointment confirmation, Weather forecast, Sales offer, News update and whatnot. Contact a mobile application SMS API provider today.